Please Nominate Our Games for Best of 2011! Thank you for your support in downloading and playing our games. Please click on the buttons below to nominate Flock Da Sheep and Cut Da Cheese for the Best App Ever Awards of 2011. And Now Available...Both Versions of Flock Da Sheep! Okay, so we had some hiccups with the original version not being the best iPhone game ever :), so version 1.1 is our official release. Please download and let me know what you think! YES! 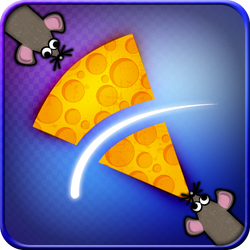 Both Versions of Cut Da Cheese NOW AVAILABLE! Please download, play, and let us know what you think of the game by rating it on iTunes. Contact us with any feedback or suggestions. Have fun! 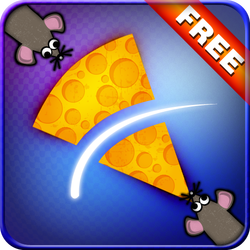 _This is the first gameplay footage of our upcoming game, Cut Da Cheese for iPhone, iPad, and iPod Touch. The game is a geometry cutting game with a time limit. There are bonus levels and some randomization that makes it pretty addictive. 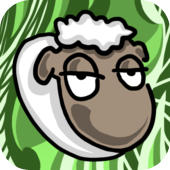 Check out the first gameplay footage of our upcoming game, Flock Da Sheep. This is the iPad version. You can see the basic play mechanics as well as a few bonuses when playing. We are still working on some bugs along with finalizing our ad implementation in the free version. Tuning the gameplay and optimizing the frame rate are our priorities right now. The goal is to have it get hectic at around the 1:30 mark and the average game to be around 3-5 minutes for a skilled player.